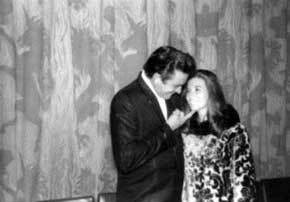 I get to meet Johnny Cash - the Man in Black - London, 1968. 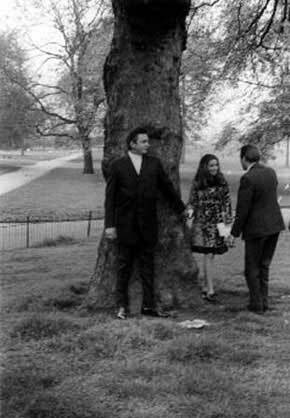 Billy Crallan, June Carter, Johnny Cash and me in London 1968 and, on the right, Johnny leaves the Royal Garden Hotel in Kensington, London, to meet the press for a photographic session in Hyde Park. 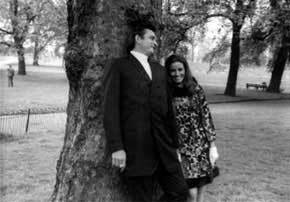 Johnny and June inside the Royal Garden Hotel, Kensington, London and, on the right, in Hyde Park for a photograph session for members of the media. 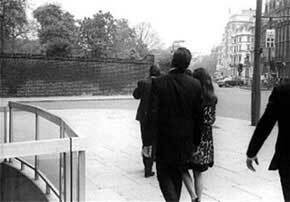 A selection of photographs taken in Hyde Park and inside the Royal Garden Hotel, Kensington, London, in 1968. 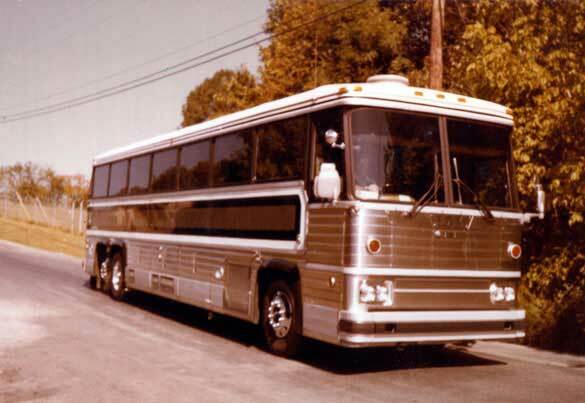 The Johnny Cash Tour Bus taken outside his home in Hendersonville, Tennessee, during the 1970's. Photograph copyright © Stan Laundon. The Johnny Cash Home in Hendersonville, Tennessee. Photograph copyright © Stan Laundon. 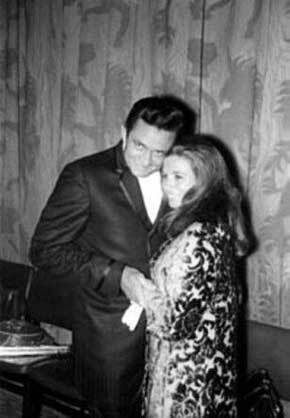 Johnny Cash died at the Baptist Hospital in Nashville, Tennessee on Friday, September 12th, 2003 – he was 71. 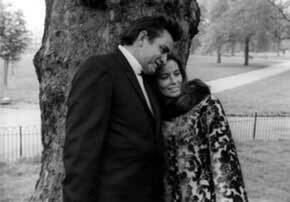 Johnny's wife, June Carter Cash, had died just four months earlier in May at the age of 73 following complications after heart surgery. 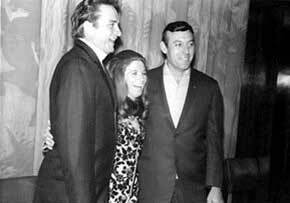 It was a great pleasure for me to have known Johnny Cash. As I mentioned earlier, I'd met him many times - in London, Sheffield, and Newcastle and in the United States. He was a kind and gentle person, always willing to spend time with his fans, and recorded several radio interviews with me. I will never forget meeting him in Nashville, Tennessee, in 1974 when I walked into a room full of journalists, radio and television personnel. Johnny stopped his filming and interviews, looked towards the back of the room, spotted me and said: "Hi, Stan!" He then turned to the gathered pack of journalists and said "A friend of mine from England's just walked in!" I felt ten feet tall. 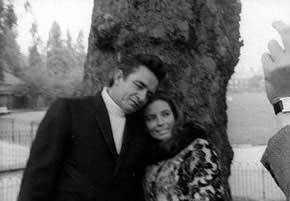 This page is dedicated to the Man in Black, Johnny Cash 1932-2003. 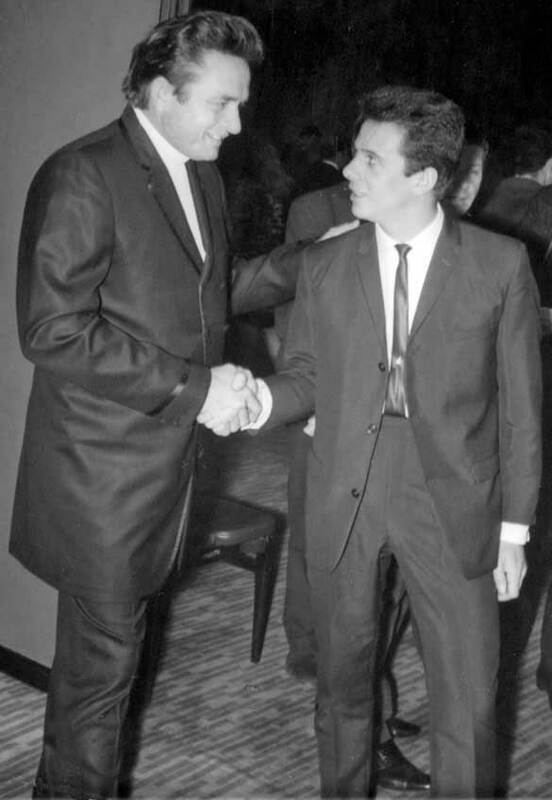 I had the pleasure of meeting Johnny Cash on many occasions during my time at the BBC. The very first time, which was well before my BBC days, was on May 5th, 1966 at the Pickwick Club, in London, where a reception was held in his honour just before his first ever concert appearance in the United Kingdom. British pop singers Joe Brown and Marty Wilde were amongst the invited guests at the reception. 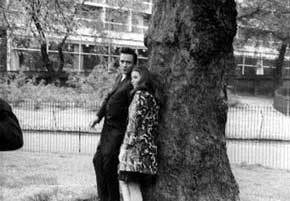 I met him again two years later, along with June Carter and Carl Perkins, at the Royal Garden Hotel, Kensington, in London, when my lifelong friend Billy Crallan took these photographs. 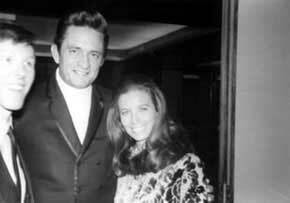 They were taken at a Press reception held by impresario, Mervyn Conn, prior to another UK tour for Johnny. 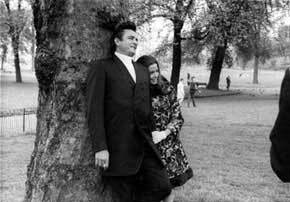 Johnny Cash did visit Britain on September 25th, 1959 and appeared on the ABC television show "Boy Meets Girl". He sang "Five Feet High And Rising" with British guitarist, Joe Brown providing the instrumental backing. 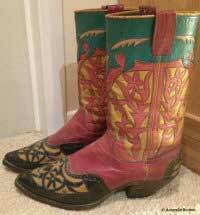 Some time after his appearance Joe received a gift from Johnny - the tailor made cowboy boots that he had worn on the television programme. Joe had made a comment about "how much he liked them" and Johnny sent them to his home as a thank you present. The boots in question - a gift to Joe Brown from Johnny Cash and my sincere thanks to Amanda Brown for the photograph. 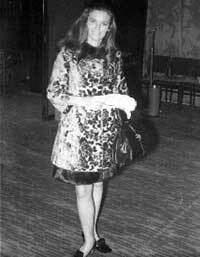 The photographs, on this page, are from the original session and were taken at the Royal Garden Hotel, and in nearby Hyde Park, in Kensington, London in 1968. They have not been edited, cut or changed in any way apart from, we hope, a slight improvement in quality. Some are out of focus but we thought we'd include them here so you can see the 'almost complete' collection. 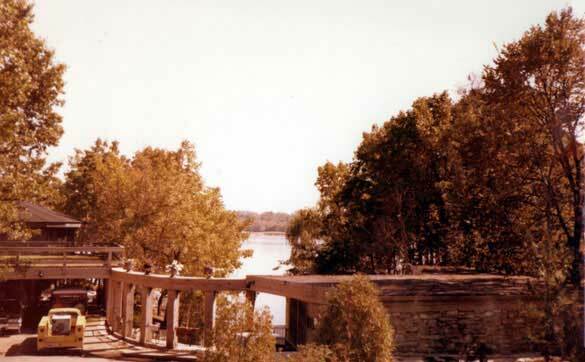 When clicking on the smaller images on this page they will open the photographs in a slightly larger size. All black and white photographs are copyright © Billy Crallan and used on this website with permission. They must not be used, or copied, in any way. Thanks, too, to Amanda Brown for the Johnny Cash boots photograph which is also copyright © and must not be used without prior written permission. The bass playing monkey above was created by Dave Sutton graphics and free 3D animated gifs for web sites.